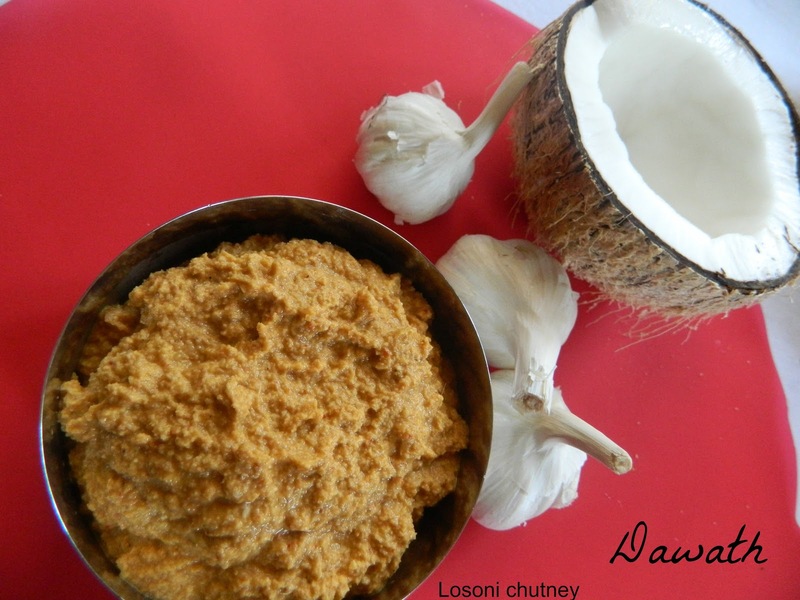 Losoni chutney is a traditional GSB preparation. Losoni means garlic.The main ingredient of this chutney is coconut infused with the flavor of garlic.I just love garlic and we use it in most of our cooking.Coconut is abundant in South India and we have a small coconut patch at our place with 12 trees,so I need not buy it.We also dry the coconut and exchange it in the mill for coconut oil and use it in our traditional cooking esp seafood.Garlic has lot medicinal power.It is rich in antioxidants. It acts as a wonderful seasoning in the food which adds aroma and enhances the taste. Heat ghee and fry garlic until light brown and keep it aside. Heat oil separately and roast chillies for 2-3 minutes. 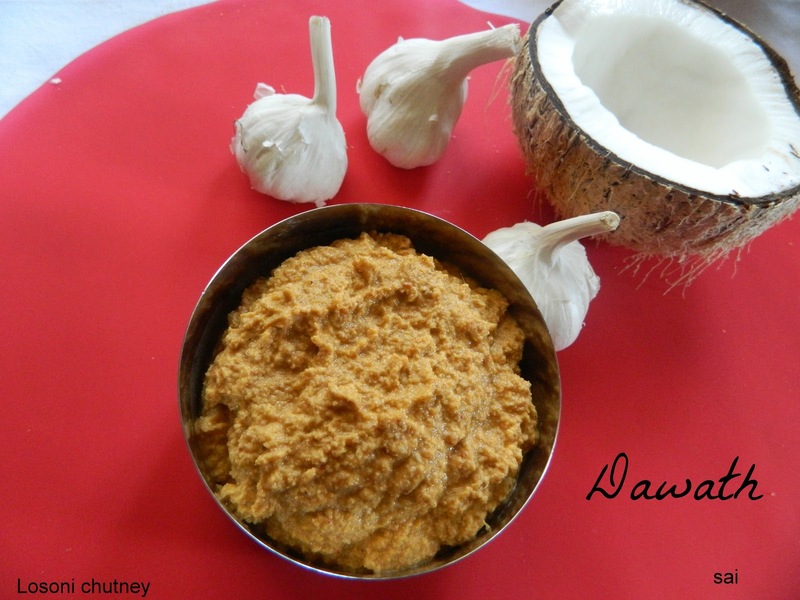 Dry roast grated coconut until you get a good aroma and light brown in color. Cool and grind all the ingredients adding 2-3 tsp of water to a fine paste. You may not roast coconut if you do not like. If you roast the coconut the chutney will stay longer. Store it in a refrigerator until use. Stays for a day or two. Goes well with rice or chapathi.